The SWAT team, or Special Weapons and Tactics team, is a highly trained, elite tactical unit of regional police officers utilized for operations outside of the normal scope of standard police abilities. Their responsibilities require specialized equipment and gear, weapons, and tactics in order to complete their high risk operations. 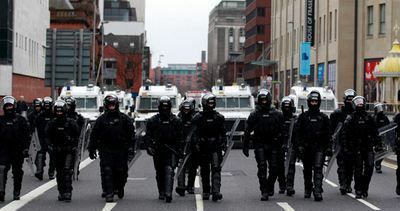 SWAT teams can provide ancillary support to local law enforcement such as sniper coverage for the arrival of important public figures, provide superior firepower to officers or civilians threatened by gun fire, stabilize high risk situations such as suicides, provide additional riot control, and carry out special counter-terrorist actions. Getting the part of dressing up an elite paramilitary unit and team, Blauer see to it that the SWAT uniforms and gear they manufacture must be distinctive during an operation. In order to easily identify themselves from other friendly units or potential threats, SWAT imprints clearly marks their uniforms and protective external vests for operational safety. As an elite unit, finding and identifying them in a crowded scene is a must. 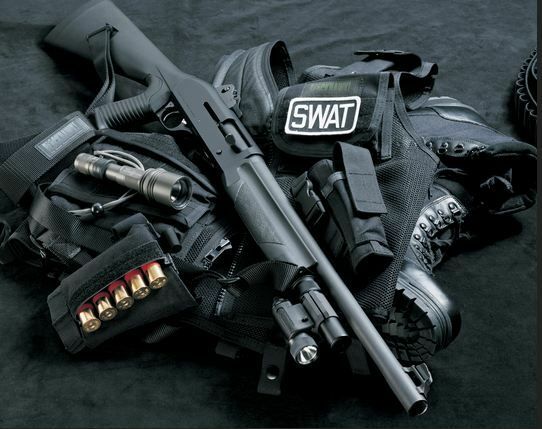 Just like in action movies, the SWAT unit also carries gear armories and weapons that contain a variety of powerful pistols, shotguns, sniper rifles, sub machine guns and carbines to match the operational needs of any situation. We can say that the ability to handle and operate these powerful weapons and artilleries can only be associated with highly trained elite units such as SWAT. As a provider to local law enforcement personnel, here at Blauer, we cater to the special needs of the SWAT teams across the United States. We are proud to outfit the SWAT team and other elite law enforcement units from operational start to finish with the line of exceptional military and SWAT gear we manufacture for their safety and protection.